Drynk is a unique tumbler which comes with two original lids to suit different drinking styles. 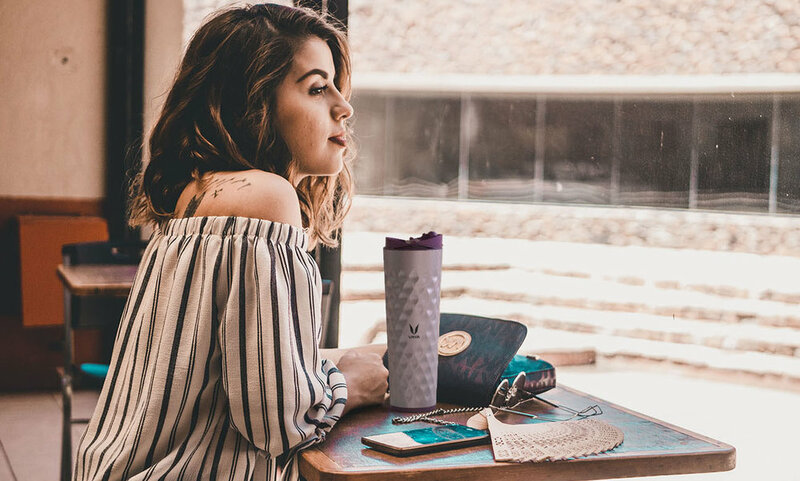 It features a stainless steel, vacuum-insulated body which keeps liquids hot or cold for long hours, and a slim profile which easily fits in a bag or cup holder. Its expanded-metal-inspired body contour allows for a secure grip. Drynk is available in 600ml (21 Oz) and 350ml (12 Oz) sizes. Two lids come with each tumbler: a Sipper lid designed to enjoy hot beverages; and a wide-mouth Gulper lid, perfect for refreshing cold drinks. Two cups snap on top of then Gulper lid, making Drynk the only insulated tumbler designed for sharing. Watch the video illustrating all the features of this innovative tumbler. Extra cup(s) can be snapped on top. Watch the video illustrating all the feature of these two innovative lids. Refilling Drynk at your favorite coffee shop cuts down on waste from disposable cups - and your cup of joe will stay hot much longer! 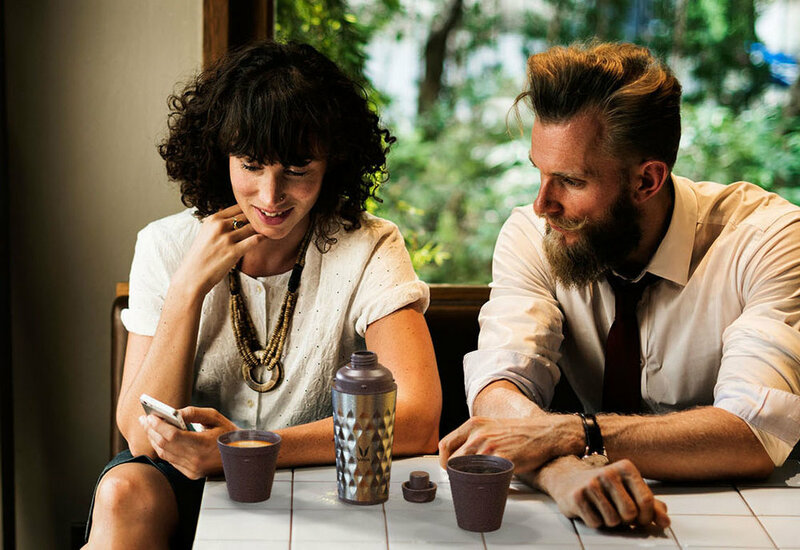 Share your favorite drink with a friend with the additional cup provided with the Gulper lid. The perfect companion for a hot summer day.